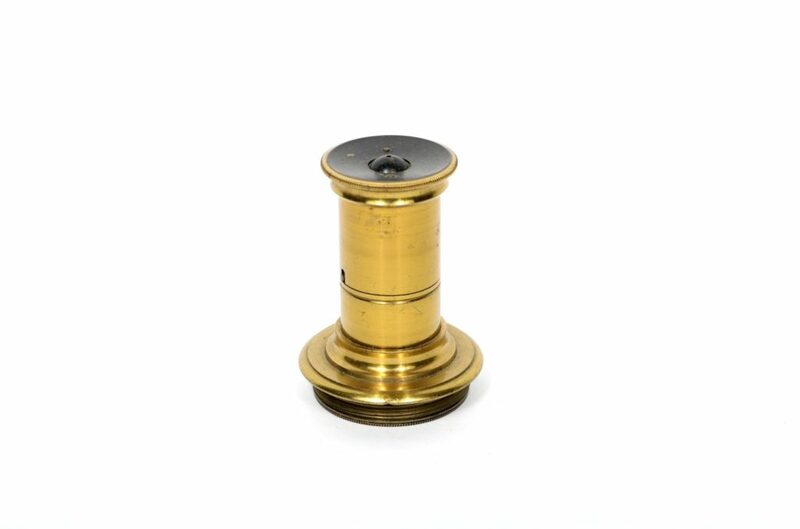 This is a brass lens or eyepiece. The tube of this lens is quite narrow, with flared ends, one of which is much broader than the other. At the smaller end there is a small pinhole opening. At the wider end, there is a threaded attachment and a convex lens. 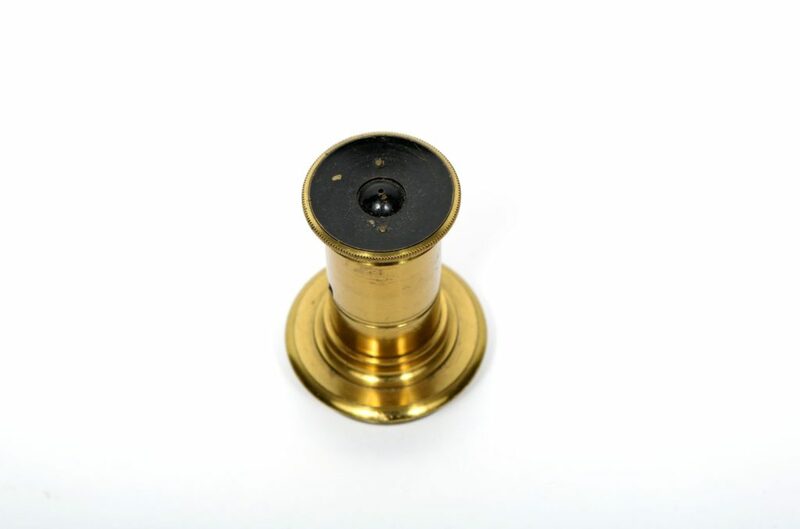 This is an attachment for an optical instrument. Fair: The metal surface of the lens is in excellent condition, with a few small scratches and nicks. The threads of the screw do show some signs of wear from use. The glass of the lens is very dirty, and seems to have white flecks across the surface and in the interior of the lens, making the lens seem very cloudy.